Love the book, not the narrator! Irish lass Adelia Cunnane had entered a fairy tale! Working at the world-renowned Royal Meadows stables was a dream come true. She was determined to prove her worth, especially to the stables' owner - the very opinionated and ruggedly handsome Travis Grant. Princesses weren't the only ones who could have a happily ever after! When the harsh storms of winter descend upon western Ireland, the locals stay indoors - and visitors stay away. Brianna Concannon's bed-and-breakfast becomes a cold and empty place. And that's fine with Brianna. She enjoys the peace and quiet, even when icy winds howl at her window. If you have read any of my past book reviews, you will know that I don’t believe in spoiler alerts. And following that sentiment let me tell you that Book 1 is good. I mean it is Nora Roberts…right? However, for some reason, I didn’t love the narration. The Irish accent was, as far as this South Texas Girl would think…spot on. The problem for me, I believe was the way the narrator seemed to rush through the female dialogue, making it seem somehow, cut off and thus, her withholding expression. In some ways, it was difficult, in Book 1, for me to connect with the family, Concannon. Relatable characters are what will invest a reader into the story. Don’t you agree? In fact, I am not sure that I would have continued the trilogy, had I not already owned the next two books. What a treasure I found, though. It was in Book 2, BORN IN ICE, and narrated by the same gentlemen I might add, that I really was able to fall in love with this family. Oh, and fall in love, I did. What an amazing surprise it was for me too; enough, that is, to want to share my experience with you. I am not sure if I adapted to the narrator’s tempo, or if he slowed his pace and dynamics, but I loved him too. I only just completed Book 2, and between you and me, I didn’t want it to end…and so it doesn’t…on to book 3 I go! This Series ROCKS! LOVE IT!!! 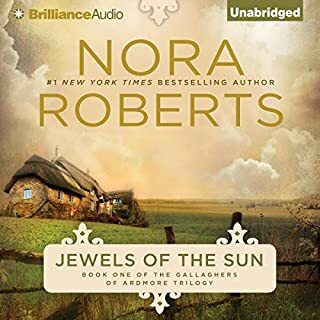 In Roberts’ second book of the Born In series we are back in Ireland at the home of the younger Concannon sister Brianna, who is happily enjoying the winter and peace and quiet of isolation in her B&B on the west coast of Ireland. Brianna enjoyed people but also her quiet time before her winter guest would be arriving – a renowned mystery writer, Grayson Thane, from America. A nomad by nature, Grayson seeks the isolation to write alone, but from the very first, a fire is ignited as he gets to know his beautiful inn keeper. *** Lord, but I am just loving this series and these irrepressible Concannon sisters, their significant others, neighbors, workers, and even one very self-absorbed momma! Roberts’ characterizations of all her people are just so real - non-perfect people in a non-perfect but very real world. Although, to my mind of thinking Brianna is probably one of the more perfect people who is portrayed as really quite happy with her life, B&B, and meeting all her tenants at the B&B. Brie is truly a happy person with her life the way it is, but of course, like most humans she does have dreams. Those dreams of making a truly loving home – one that was filled with happiness, lots of children and above all laughter. However, that would need a husband to affect that dream. Enter Grayson Thane, Brianna’s newest boarder who had booked and paid the first month of his stay planning to stay through the winter. After the first few days of Brianna’s cooking - Grayson felt he’d died and went to heaven. A very wealthy and famous author, he’d never settled down and wandered the earth keeping only an apartment in NYC close to his publisher. Partly because he’d never had roots or any kind of stable childhood, Gray had never been close to anyone or let himself grow close - too many memories of abandonment. With a remarkably deft hand Roberts lets the reader enjoy the romance between Brie and Gray as they both quietly discover in their own hearts the way each others hearts were bruised and needed healing. It was such a pleasure to experience the care and thoughtfulness of two genuinely wonderful people learning to love and trust. And the bigger bonus was seeing the ‘thoughtless momma’ bend just a wee little bit and smile - I think it happened at least once in this book. Bottom Line: Another remarkable listen to a lovely Irish lilting performance by Fiacre Douglas, who is fast becoming one of my favorite narrators of Irish themed stories. Add to that the excellence of Nora Roberts’ brilliant story telling and bang - you are in for one very big treat! Would you listen to Born in Ice again? Why? What does Fiacre Douglas bring to the story that you wouldn’t experience if you just read the book? the last chapter was so beautiful, I listened to it twice. 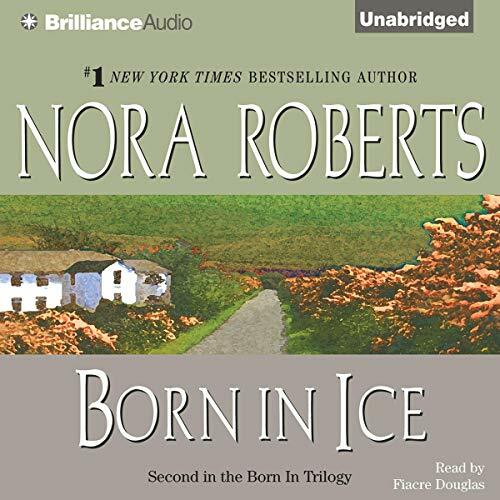 If you could sum up Born in Ice in three words, what would they be? What was one of the most memorable moments of Born in Ice? When the mysterious Yank arrives at Blackthorn Cottage In the midst of a stormy night and sees Brianne for the first time. I was surprised to hear an Irish reader and felt it added to the story telling since this book is set in Ireland. It was a compelling story even though I have read the book several times before. 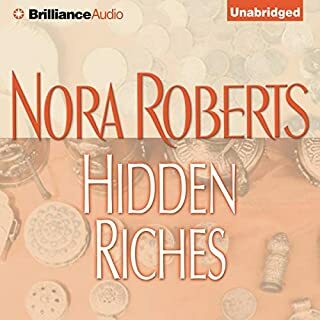 This is one of my favorite Nora Roberts books, and listening to it made it seem new. I loved, loved, loved this book. I am crazy about this series so much so that I paid full price for the next in the series because I couldn't wait for my monthly allowance from audibles. 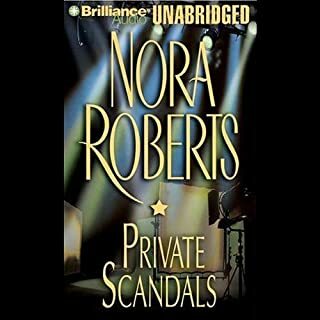 Nora Roberts created a real treasure with this book. The heroine runs a bed and breakfast in the Irish countryside. She gets a guest from America who is a famous writer that has no home base and a mysterious past. It was fun to get a glimpse from the writers perspective. 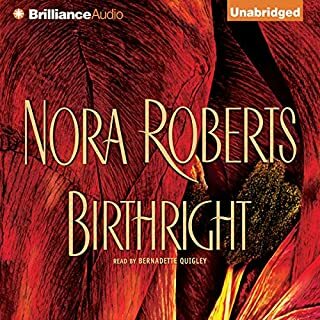 It is the usual Nora Roberts formula but it adds up to a terrific tale. The narrator makes it extra special with his beautiful Irish brogue and his easy transition between the "yanks" accent. The second of the Born In trilogy, also set in County Clare, Ireland. Brianna Concannon is the younger sister of Maggie from Born in Fire. Unlike Maggie, she has a cool temper and an almost distant demeanor, though she engages warmly with her community and the visitors to her B&B. Grayson Thane is a writer of thrillers who has arranged to stay at Blackthorn Cottage while researching his latest book. He is, on the surface, very amiable, but when his writing gets him by the throat he can be rude and withdrawn. Their story is one of breaking down barriers put up to protect wary hearts. 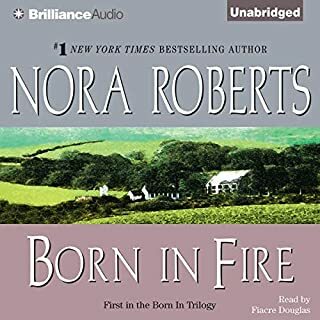 The narrator is adept at catching the different accents - Irish, American, and upper-crust British (with a little Scottish thrown in as well). The narration is first rate! Loved how accents were switched with the character brought them more fully to life. Read the series several times and now have had the pleasure of it being read to me. Well done. But this narrator was fantastic! It took me a while to get used to listening to a male speaking women's parts but his accents and voice performance was top notch. 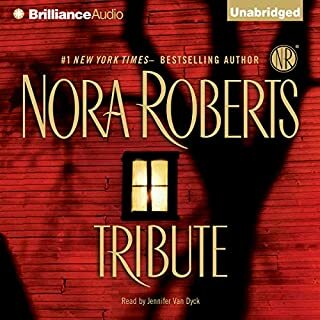 Great story, as always I love Nora Roberts. Born in ice is hot!! The characters are well developed. I felt like I knew them like my own family. I immediately purchased the third book. I wasn't ready to let go of them yet. When Grey returned and was able to admit that he was in love. I fell in love with them. It was a roller coaster of emotions.